The shrill, endless denunciations of the “tar sands” across North America, and indeed around the world, have largely overshadowed any communications efforts by the oil industry to show that the oil sands are benefiting Canadians and being developed in a responsible way. The oil industry needs to do a better job of explaining to everyday Canadians what the oil sands mean to them. 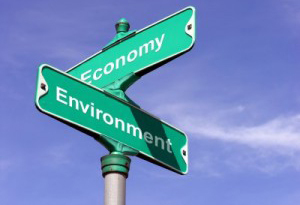 Much of the debate tends to be falsely framed as “economic benefits versus a healthy environment”, as if citizens can only choose one at the expense of the other. The public needs to know the facts about both the economic benefits and the environmental impact of developing this vital resource. Indeed, the oil sands are now an indispensable driver of Canada's economy in an uncertain economic climate. The enormous wealth and numerous jobs created by oil sands development benefit Alberta, the other provinces, and the country as a whole. In fact, according to the Canadian Association of Petroleum Producers (CAPP), new oil-sands investment is estimated to create an additional 800,000 jobs in Canada, many of which would be outside Alberta. Oil-sands operators would purchase over $117 billion in supplies and services from multiple provinces over 25 years. New development in the oil sands is estimated to contribute over $2.1 trillion (in 2010 dollars) to the Canadian economy over that 25-year period. That represents about $84 billion annually. It would pay over $750 billion in federal and provincial taxes and royalties that finance public services for all Canadians, such as health care and education. Importantly, green activists consistently remind Canadians that the health of the environment and the well-being of communities where development takes place cannot be forgotten in the pursuit of economic rewards. Unfortunately, much of what is said about the oil sands is deceptive, fear-mongering, or just plain false. For example, some “Stop the Tar Sands” posters show red splatters over much of Alberta, giving the impression of blood or danger. The shape of the splatters corresponds to the geographic spread of the oil sands. Although the slogan is absurd because one cannot stop the oil sands from existing, activists are pretending that this vast area―the extent of all deposits―would presumably be devastated by oil sands production. The anti-oil sands propaganda is catchy and haunting, but according to CAPP, only 20% of actual reserves are close enough to the surface to be strip-mined economically. In fact, just 3% of the total oil sands surface area is minable, and only a fraction of that is being dug up. And even in that small plot, the land is restored to an almost pristine state after mining operations are finished. Elsewhere, production uses steam-assisted gravity drainage, with much less environmental impact because it involves no mining at all. Instead, hot steam is pumped into the formation to loosen the viscous bitumen, which can then be extracted from a well. Nonsense. Canada only generates about 2% of global greenhouse gases―remarkable for a cold climate and the second largest country in the world by landmass. Of that tiny amount, only 7.8% comes from the oil sands. That's a negligible 0.16% of the global total! By comparison, the increase in global greenhouse-gas emissions in 2012 is estimated by the Global Carbon Project to have been more than 16 times greater than the oil sands' total emissions, largely due to inefficient industrial expansion in China. The public is told that oil-sands operations need a vast amount of water. True, the oil sands used approximately 158 million cubic meters of water in 2011, but, according to CAPP, the city of Toronto alone consumes over twice as much. In addition, some 80-95% of the water used in the oil sands is recycled and used again. Like any oil development, the oil sands mean indispensable fuel to power our way of life, and they provide vast economic opportunity and numerous jobs. Canadians cannot afford to have pseudo-green extremists prevent the development of the oil sands through dishonest and exaggerated propaganda. Henry Lyatsky is an independent Calgary geologist. Brianna Heinrichs is the radio and intern coordinator at the Frontier Centre for Public Policy.